The books listed on this page were written and/or edited by an experienced police officer. According to the book description of Police Officer Exam for Dummies, it is “your ticket to a higher score on the police officer exam. Police exams are becoming increasingly difficult to pass, as law enforcement agencies are looking for the most capable officers from the candidate application pool. To help select the most qualified candidate, more than half of the departments and agencies throughout the country are following the current trend of using the National Police Officer Selection Test (POST also referred to as NPOST). Police Officer Exam For Dummies features three POST exams based on the official test, plus one New York City (NYC) exam. 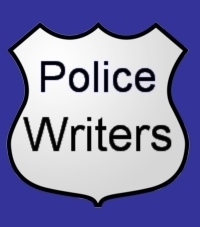 If you're a prospective police officer who needs to take the written exam, Police Officer Exam For Dummies gives you all the essential test preparation you need to succeed. Packed with study advice and test-taking tips, you'll get targeted instruction on everything you can expect on the actual exam. According to the book description of Police Officer Exam, “A pre-test to diagnose your PS Skills, How to use this book, Just the Facts-continues the usage from Becoming a Police Officer (2009), which provides synergy with that title. Appendices-ideas include a sample on-line application, sample physical agility requirements and study programs, and sample police academy curricula, instant Access to Online Practice, Glossary. According to the book description of Becoming a Police Officer: An Insider’s Guide to a Career in Law Enforcement, it is “a serious examination of police work that is directed toward young people who are contemplating a career as a police officer. Author Barry Baker draws on over thirty-two years of experience from some of the most violent streets of any city in the United States to show you the unembellished truths of law enforcement. Becoming a Police Officer: An Insider’s Guide to a Career in Law Enforcement covers topics a newly trained police officer must appreciate—and master—to ensure success and safety, including the following: Self-evaluation for a police career; Recognizing and ignoring bad advice; Rapid advancement toward self-sufficiency; The immeasurable importance of integrity; and, Matters of life and death.